The first story DLC for the game Batman: Arkham Knight, developed by WB Games Montreal, the creators of e.g. the first installment in the series. The story takes place before Arkham Asylum. This is Batman: Arkham Knight expansion pack. 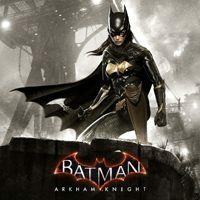 Batman: Arkham Knight – Batgirl: A Matter of Family for PC is the first storyline expansion to the renowned action-adventure game from the RockSteady studio; however, the expansion was not created by the developers of the vanilla version of the newest Batman production. It was, in fact, made by the WB Games Montreal team, known for releasing Batman: Arkham Origins. In the title itself we step into the shoes of Batgirl, who, together with Robin, sets out to save commissioner Gordon who has been kidnapped by the Joker. The events of the expansion take place before those shown in Batman: Arkham Asylum – the first installment of the saga. During our playthrough we discover a brand new region, the Seagate Amusement Park - a theme park built on the top of an oil rig; it is there that Joker constantly toys with us, playing the cat-and-mouse game, sending waves of enemies and putting us through different challenges. Apart from the main storyline missions, there are also numerous side quests and findings scattered around the entire location. The gameplay is slightly different from what we have dealt with in the vanilla version; Batgirl is not as strong as Batman; she is, however, a talented hacker, which allows her to control various devices to aid her not only during combat, but also while solving puzzles. The expansion features the Dual Play system, allowing us to switch between characters during fights, which results in very spectacular combat with extremely effective finishers. Batgirl: A Matter of Family requires the base version of the Batman: Arkham Knight game.